I will make this clear right now. Kenny Rogers is NOT on of my favorite singers. Most of the lyrics, of the songs he sings, are too warm and I find his voice sickly sweet. That's just my opinion and I know that he made a lot of money in the industry so he must have been good. He just wasn't my kind of singer. 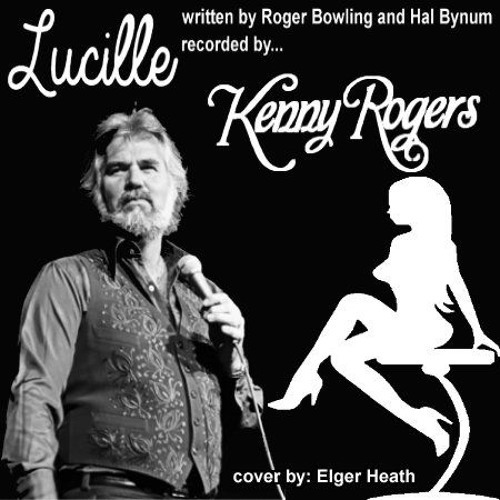 That being said, in 1977, Kenny Rogers put out a recording of a song written by Roger Bowling and Hal Bynum called 'Lucille' which I thought wasn't too bad. My Uncle Charlie, who was the genuine cowboy type, told me it was his favorite song so I always made sure to do it when he was around. Charlie is gone now, and his wife passed on a few months ago and this tune still roams the open ranges of my memories so I thought that I'd record it and see how it came out. It's a simple song but, if you pay close attention to the lyrics, you'll find that it can tear at your heart. My hands aren't what they used to be so a simple 3/4 time tune is about all I can handle these days. I hope it turned out well.